The Renault Nissan Alliance have officially announced that they are fully committed to the Electric Car. 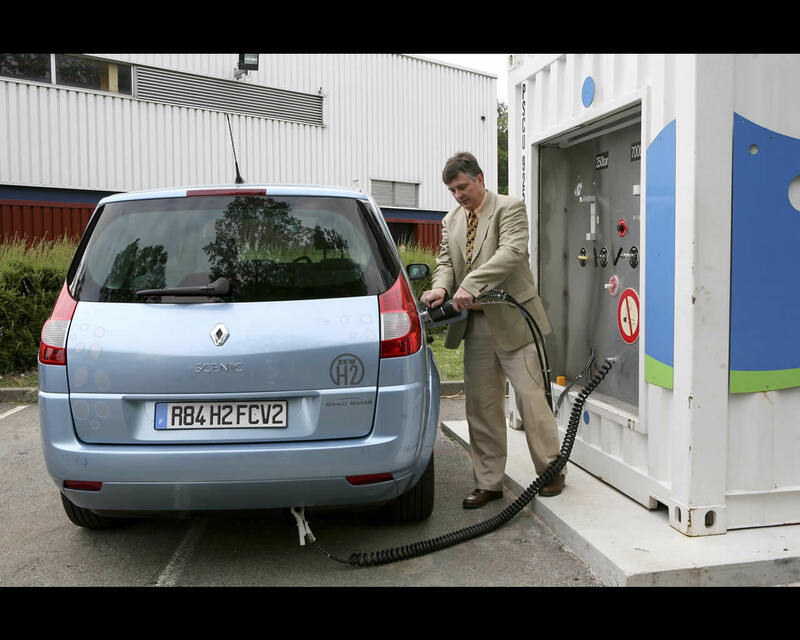 For the initial step, Renault Nissan Alliance will mass-market electric vehicles in Israel and Denmark in 2011. Moreover, Nissan has recently announced its plans to start selling electric vehicles in the U.S.A. and Japan by the end of 2010. Nissan and NEC Corporation's subsidiary NEC TOKIN Corporation have established a joint venture, Automotive Energy Supply Corporation (AESC) for the development and production of lithium-ion batteries specifically competitive for the automotive market and intended to produce and sell these batteries not only for Renault Nissan Alliance but for all automobile manufacturers in the world. 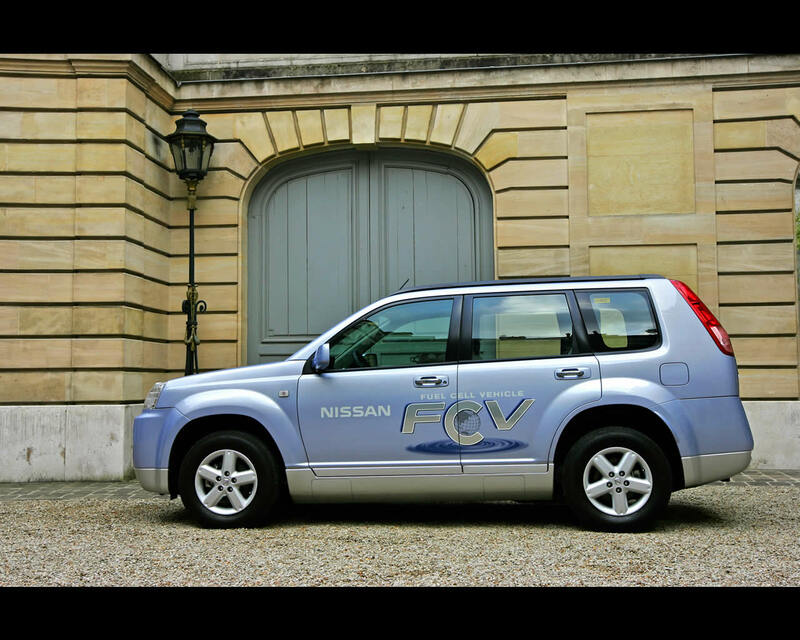 For a second step, Renault-Nissan Alliance is developing fuel cell powered electric vehicles. Two prototypes are currently in an advanced engineering phase. 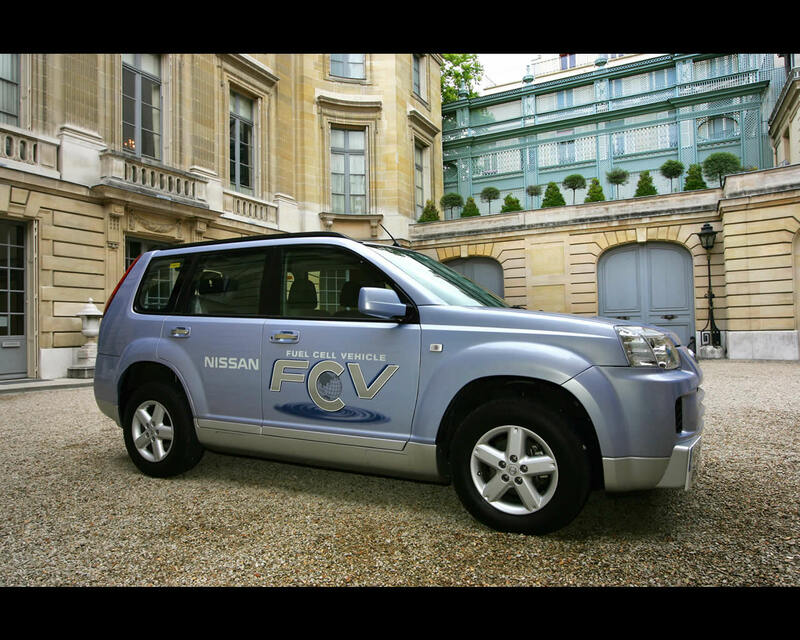 Nissan's pionneering X-Trail fuel cell vehicle has been undergoing "real world" testing for more than two years. 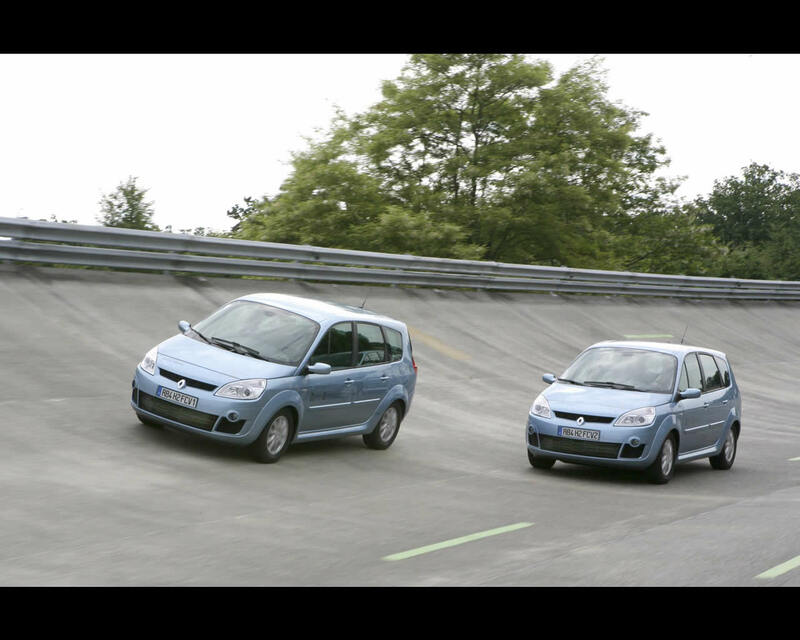 The most recent development is a Renault prototype called Scenic ZEV H2. Based on a Renault Grand Scenic, the Renault Scenic ZEV H2 is a joint Alliance development. 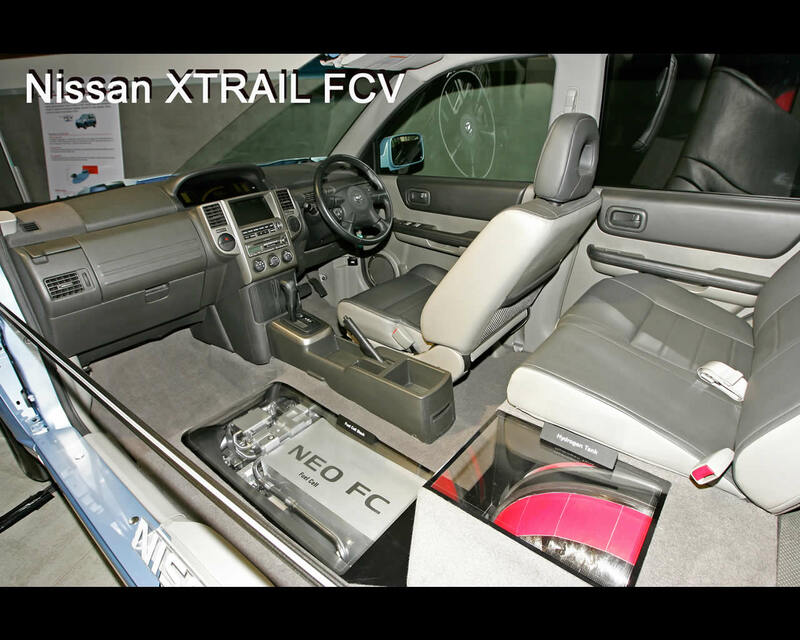 It features Nissan's in-house developed fuel cell stack, high-pressure hydrogen storage tank and compact lithium-ion batteries. 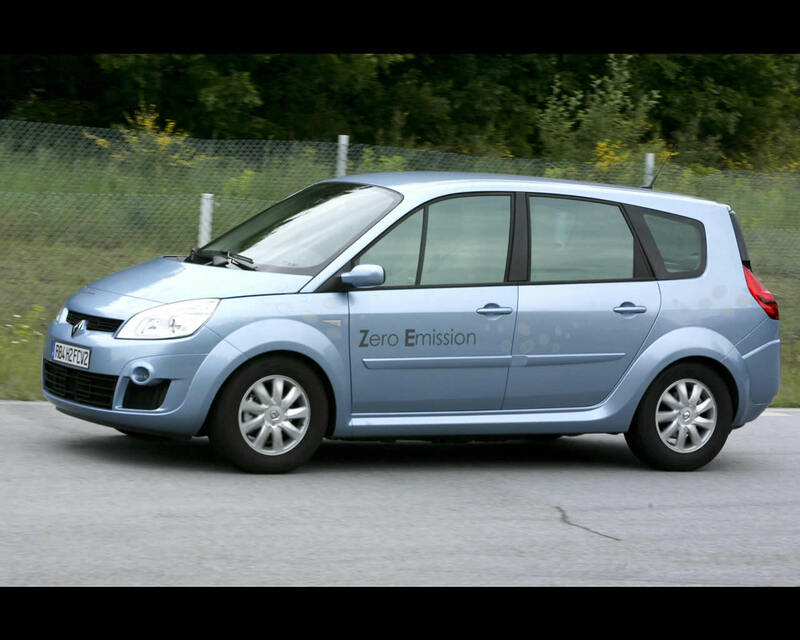 Renault engineers developed the Grand Scenic architecture to accept the different Fuel Cell Vehicle elements under the floor, thus managing to keep ample cabin space for five adults, and to integrate Renault and Nissan electric and electronic systems. 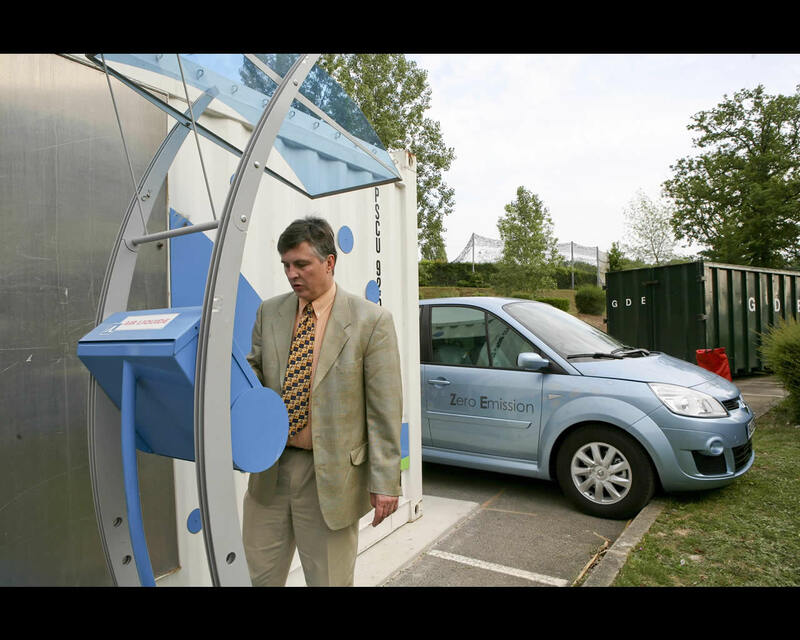 Electric Car - an electric car is a car propelled by electric motors. The energy source, electricity, is provided by a battery. 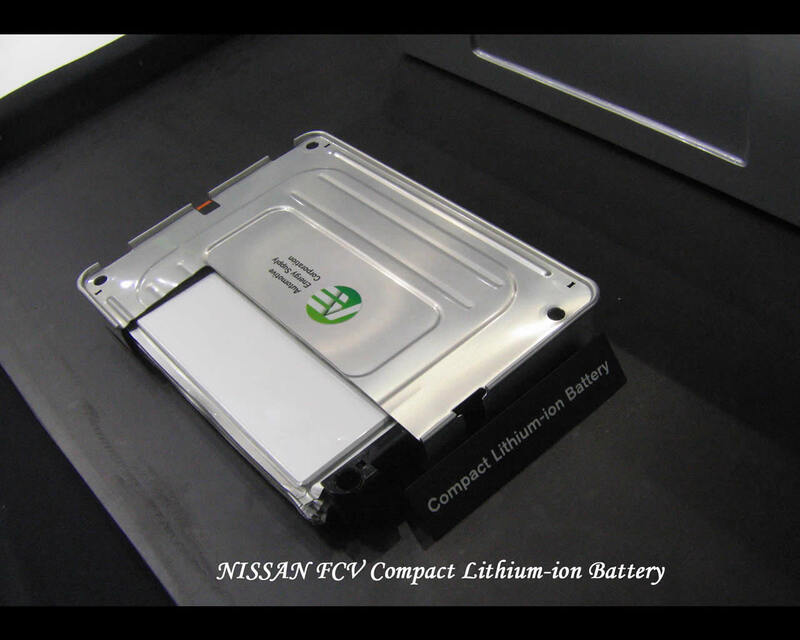 The battery can by "loaded" through the grid (plug-in vehicles) or by an on-board electricity generator, a combustion engine running at constant speed and connected with an alternator or a hydrogen fuel cell. Hydrogen and Fuel Cells - Made up of a nucleus and a single electron, hydrogen is the simplest and lightest of chemical elements. Hydrogen is not readily available and must be produced. 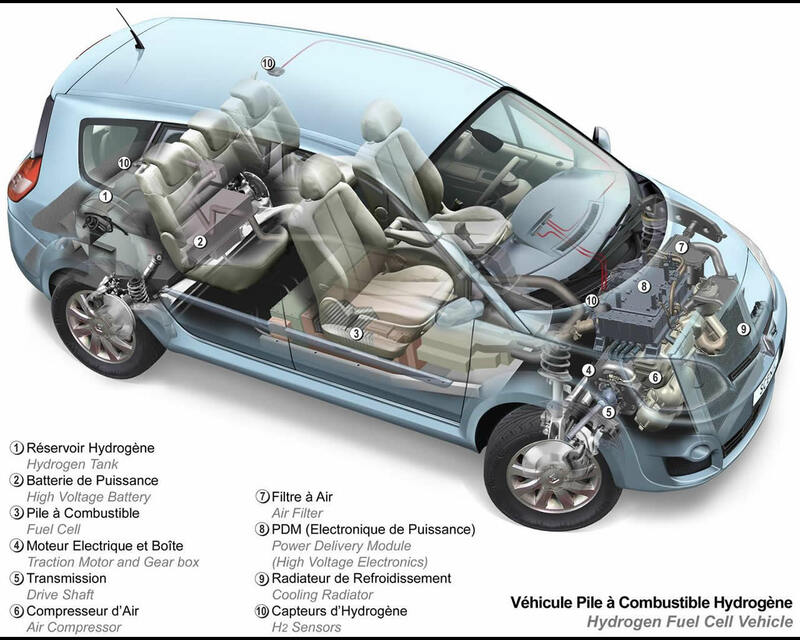 In a fuel cell, hydrogen and oxygen (present in ambient air) are forced into contact with each other through a polymer membrane, the electrolyte. 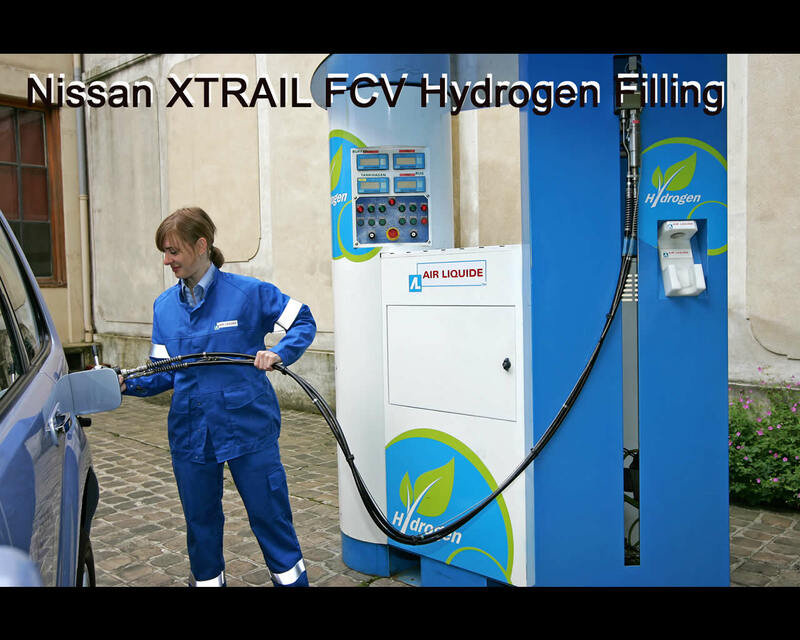 They combine to form water (the only hydrogen fuel cell vehicle emission) to produce electric power and heat. The electric energy is the "fuel" that drives the vehicle's electric motor. 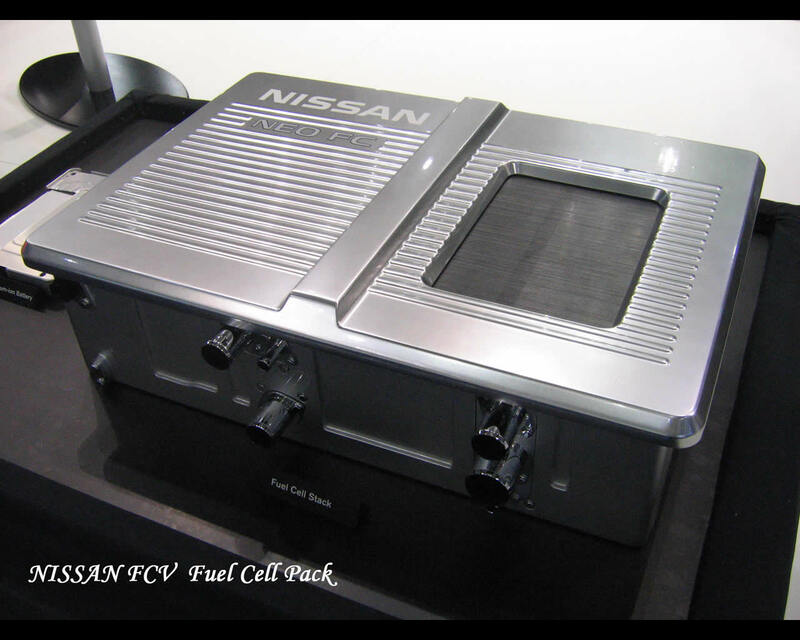 A fuel cell vehicle is in fact just an electric vehicle that produces its own electricity on-board and does not necessarily require any external power supply. 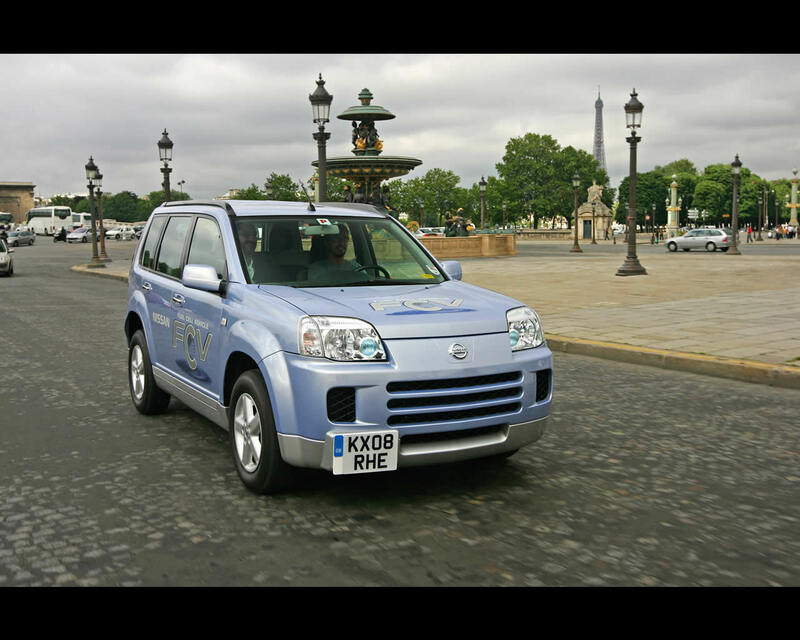 From June to September 2008, Nissan will demonstrate the X-Trail FCV in six European countries while Renault will showcase the Scenic ZEV H2 at its Environmental Workshop in Barcelona during the second half of June 2008.